Unsolicited testimonials from a few of our happy customers.
" You are awesome!!!!! Well�just in case I need a new phone, I'll keep your information! Thank you for your great customer service!!! It's rare these days! " " As a first time buyer from your company, I just wanted you to know how very impressed I am with your professionalism and the quality of your product. The boxes were shipped out super fast and the phones are the best looking refurbs I have ever seen! We will be doing more business. Thank you!!! " " Thanks for the follow-up! I've passed your website onto my business associates. Your service is fantastic. " " Good Afternoon,Thank you for shipping so promptly the handset on invoice #18932 for our Norstar #7208 system. We received it today and our phone works great and it matches perfectly! You were a great help and when we need some additional lines we will call you. " " Thanks guys. The phone (exactly the one expected) has arrived, is installed, the directory data was transferred to it and it works great. You folks at Craig Communications have been great to deal with. Thanks for being there. " " Thank you again for all the help you have provided to us over the past couple of years. The headsets had been working fabulously. And we got the hookswitch kits!! If you ever get to the East coast, stop in and see us. " " Thank you so much for your help with this part. I really appreciate your fast service. I know you don't make much money on a transaction like this but you treated us like we were a big customer. Thanks again and we will be doing business in the future. " "Thank you for your help providing phones for the Vodavi system we are putting together. It seems enjoyable pleasant customer service is becoming harder to find, your attitude and response is refreshing." 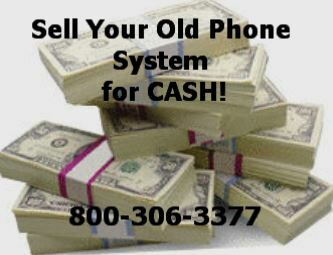 "Thanks for all of your help today in ordering the two M7310 Telephones and the Trunk Card. It's not too often you find people who are dedicated in providing excellent customer service. I will highly recommend people who are in the market to buy telephone systems and accesories to your site." "Got your part, put it in - and we're back in business here. Thanks for your great response time to our need. I will definitely recommend you - and call you again!" David Grizzard - Standard Calibrations Inc.
"Your company has had the quickest response and shipment time of any telephone supply co I've done business with on the net, no fooling :0).I am looking forward to doing business with you in the future.Thanks. " "It has gotten to be that one cannot trust people to do what they say and do so with courtesy. But that was not the case with your company. Your sales force is very pleasant and helpful. You did not run me around as a lot of people would have. Anyway, thanks for being so tolerant with me. I am 67 years old and appreciate consideration." "It was a pleasure speaking with you yesterday, I just wanted to let you know I received the package sooner than expected and my customer and I are very happy. ."
"Thank you for all your help. I plan to recommend you to whoever I can. Your're by far one of the most helpful people I dealt with on this subject of phone systems."